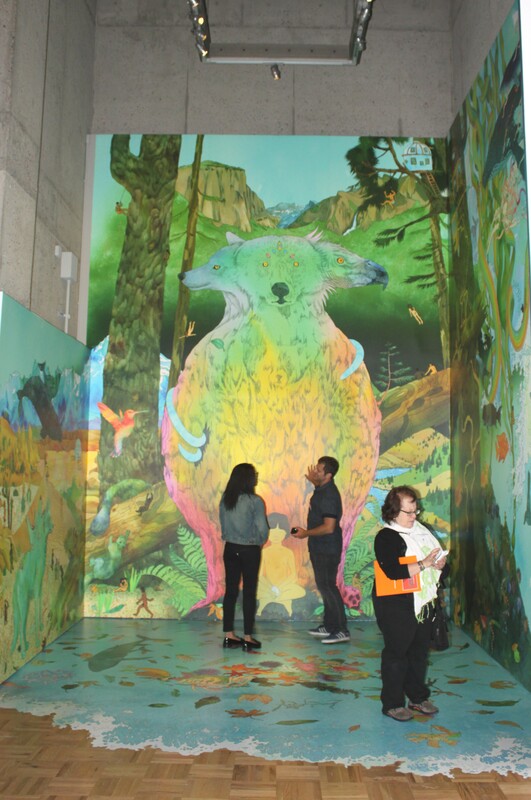 If you haven’t visited OMCA (Oakland Museum of California) lately, July is a great month to do it. Vinyl: The Sound and Culture of Records closes Sunday, July 27th, and is a fascinating interactive show with a gallery of guest-curated crates of lp’s set up in listening stations that will delight, inform as they take you way down memory lane. 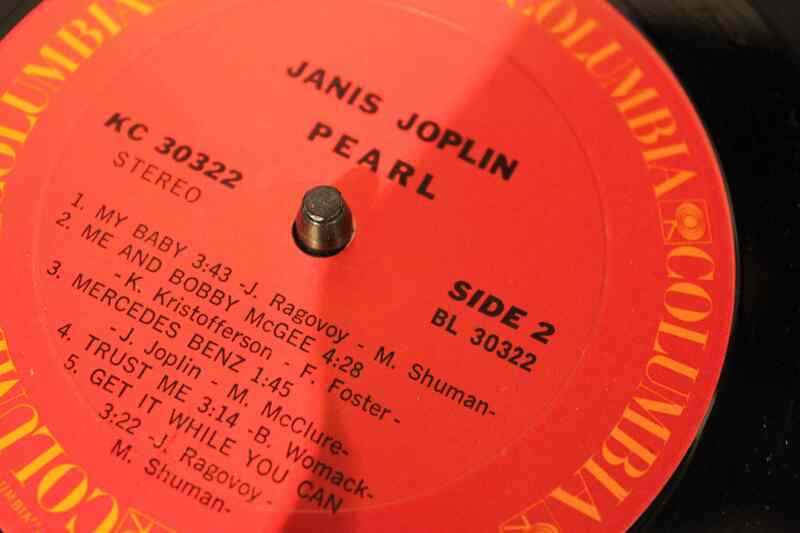 I reunited with “Pearl” by cruising through rock historian Sylvie Simmons’ curated “girl crate” featuring female rebels, like the Shirelles in the 1960’s (“Will You Still Love Me Tomorrow”) through the singer-songwriters of the 1970’s to Punk divas of the late 1970’s and early 1980’s. Yeh, ARThound isn’t only an opera lover…as a toddler, I cut my teeth on Peter, Paul and Mary and “Puff, the Magic Dragon” and proudly scrawled my initials all over both my and my brother’s albums and would sing it, at the top of my lungs, to whoever would listen. Vinyl is the kind of the show that brings all of that to the surface, so do bring a friend along to share it all with. OMCA Senior Curator of Art René de Guzman has done a superb job of pulling together some very rare lp’s too. I grew up loving “Star Trek” but had no idea that Leonard Nimoy had actually cut several lp’s and that he sang (and pretty decently) on some of them. Guzman is particularly proud that he was able to find some rare Nimoy lp’s in Europe and bring to Oakland for the show. 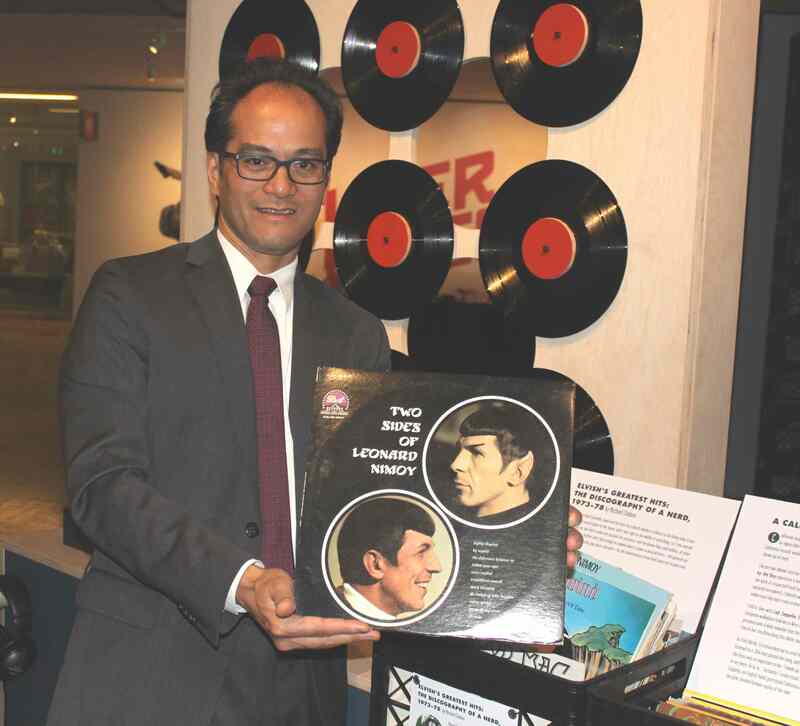 Final “Talk and Play”: On Saturday, July 26th, from 1-2:30 p.m., OMCA will host the last installment of its weekly “Talk and Play” sessions which have accompanied its 3 month long tribute to vinyl. The series, which is different every week, features guest participants from DJs to music journalists, record collectors to experimental musicians. The focus is always vinyl—from pressing it, to its history, it remarkable resurgence and its collectability—and listening to specially-curated music sets. The final session, “Every Record Has a Story,” features David Katznelson (record producer, president, Birdman Recording Group), Steven Baker (former president, Warner Brothers Records), Britt Govea (founder, Folk Yeah Productions) and Josh Rosenthal (founder, owner, and president, Tompkins Square Records). You can be sure this group of talent will share some mind-blowing stories from their own collections as well as divulge some of the biggest secrets behind some of the greatest albums of our time. Click here to listen to David Katznelson’s (record producer, president, Birdman Recording Group) curated playlist on Spotify. Also ending soon (July 27) is SuperAwesome: Art and Giant Robot, OMCA’s smart nod to arts visionary Eric Nakamura, whom in 1994, founded Giant Robot, Los Angeles’ Little Osaka based store, magazine, art gallery that became an uber-destination for Asian and Asian American popular culture and art. Nakamura and OMCA associate curator Carin Adams have thoughtfully curated this joyful blast of multimedia art from 15 contemporary artists who were early and contributors to this edgy scene.